Getting Treatment at People Inc.
People Inc. 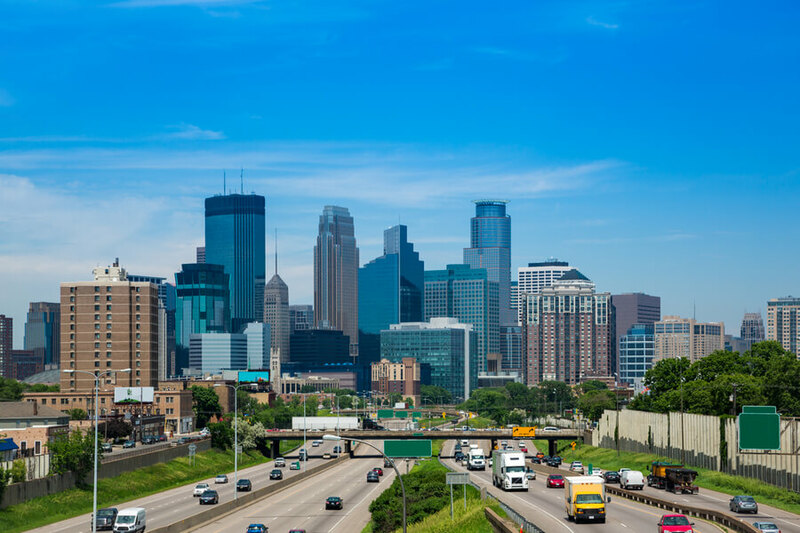 Mental Health Services is a nonprofit organization that offers a wide spectrum of services in the form of 60 programs in the greater metro area in Minneapolis and Saint Paul. The mission of the organization is to provide mental health treatment and promote wellness in the community through quality care and integrated collaboration. The center adheres to the values of dignity, respect, team-oriented environment, and individualized treatment. It was established in 1969 and since then has successfully provided treatment to thousands of individuals each year. Mental Health Services offers a number of programs including inpatient, outpatient, residential, sober living, and case management. Children, adolescents, adults, and families are offered services for substance abuse, alcoholism, and mental health issues. Clients are offered a comprehensive continuum of care through which they are able to foster better family relationships and leave their unhealthy behaviors. Each client is offered individualized treatment based on his or her condition, needs, and requirements. Mental health disorders: depression, anxiety, stress, ADHD, bipolar disorder, trauma, and other related issues are addressed through holistic approaches and evidence-based therapies. These include individual and group counseling, cognitive behavioral therapy, and medication management. Clients are empowered to adopt a healthier and happier lifestyle to lead a productive and fulfilling life. People Inc. Huss Center for Recovery is located in downtown Minneapolis. The campus comprises a historic old mansion that has been renovated to provide residential facilities for the clients. The mansion can accommodate 16 clients at one time. Some bedrooms are private whereas others are semi-private shared between two clients. Each room contains twin beds, side tables, and storage areas for each client. There are communal bathrooms that all residents share. The mansion also has sitting areas where clients can relax and socialize. There is a living room which is equipped with a TV and cable which the residents are allowed to watch. There is an on-site exercise room equipped with basic gym equipment which clients can use to achieve physical fitness. The center also offers outdoor recreational activities like sports, yoga, and other leisure activities. There is a fully-equipped kitchen on campus where a chef prepares three meals for residents daily. The meals are well balanced and freshly prepared in the kitchen. Meals are then served in the dining hall where all residents eat together. Residents are offered a variety of food options including vegetarian and non-vegetarian food. Special dietary restrictions or food allergies of clients are also accommodated. People Inc. Huss Center for Recovery provides individualized treatment for children, adolescents, and adults for a number of mental health and addiction issues. Each client is assessed according to their needs, strengths, and weaknesses which allow the expert staff to devise personalized plans for them. Price for treatment procedures depends on the treatment plan chosen as well as the client’s’ ability to pay. The center offers sliding scale costs for clients to make treatment affordable to as many people as possible. The admissions office staff provides all financial options to clients based on their cases and their family’s net income. The Huss Center for Recovery is one of the many programs of People Inc. Mental Health Services organization. For 50 years, the center has been able to help thousands of individuals and families through the wide spectrum of programs that it offers. The center offers outpatient, inpatient, sober living, and intensive outpatient programs for substance abuse, mental health issues, and co-occurring behavioral health disorders. Clients are provided with a private, confidential, and nurturing environment where they are treated with respect and dignity. They are able to embark on the road to recovery through the dedicated efforts of the credential staff as well as the integrated treatment approaches. The treatment programs utilize innovative and historically-proven therapies and modalities that help clients in realizing their true potential. Clients are empowered to set realistic goals for them and then strive to achieve them in a sober and recovered life. Jill has a Bachelor of Arts in Sociology and Social Work from the University of Wisconsin-Madison. She also has a Master of Arts in Psychology and Human Behavior from the National University in San Diego. She joined Huss Recovery Center in 2010 as the Chief Operating Officer from where she was promoted to the Chief Executive Officer in 2014. She has extensive experience in the field of healthcare operations, management, and service development. Jin Olson has an undergraduate degree and an MBA from the University of St. Thomas. He has almost 19 years of experience working as a financial executive in various leading organizations. His responsibilities as the chief operating officer at the Huss Center for Recovery include overseeing all financials of the organization. Jodie has a BS in Psychology and an M.Ed. in Counseling and Guidance from North Dakota State University. She is a Certified Psychiatric Rehabilitation Practitioner (CPRP) and a Licensed Professional Clinical Counselor (LPCC). Doctoral student seeks recovering female participants 1-2 years post treatment and were in the same intimate partner relationship with the same male partner prior to addictions recovery and after addictions recovery. Confidentiality for this study will be respected.